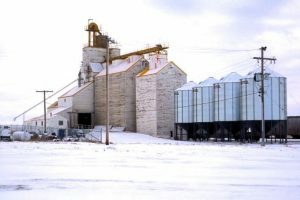 U.S. startup Pipeline Foods bought grain handling space in southern Saskatchewan in 2017 including this elevator at Gull Lake. “We were pretty nervous about what production may look like (in August)… but we were pleasantly surprised in southwest Saskatchewan where the drought was the worst. And Prairie-wide, again impressed with production versus quality,” said Jason Charles, director of organic marketing, North America, for Pipeline Foods. As harvest wrapped up in October, most crops saw good quality and yields; however, some spots didn’t fare as well. “Some lower yields in the south, but high protein in the wheat and stuff like that. It’s just a tough year for growing for some people and then kind of in the middle of the province there some people got some bumper crops,” said Jay Albers of Farmer Direct Co-op in Regina. Ontario also yielded better-than-expected crops. “Corn yields were above expectation considering a late planting and everything … bean yields were a little bit lower than expected but we had some pretty good conditions and beans came in dry too. We were happy with harvest,” said Andrew St. Jean, organic manager for Beechwood Agri Services at Parkhill. Demand in the Ontario organic feed market was strong due to an expansion of organic pigs, which led to increased demand for corn and soybeans. In Western Canada, demand increased as the organic marketplace grew. Major North American companies — Amazon, for example — entered the organic sector, driving up demand. “That’s probably why it kept the prices up for sure. 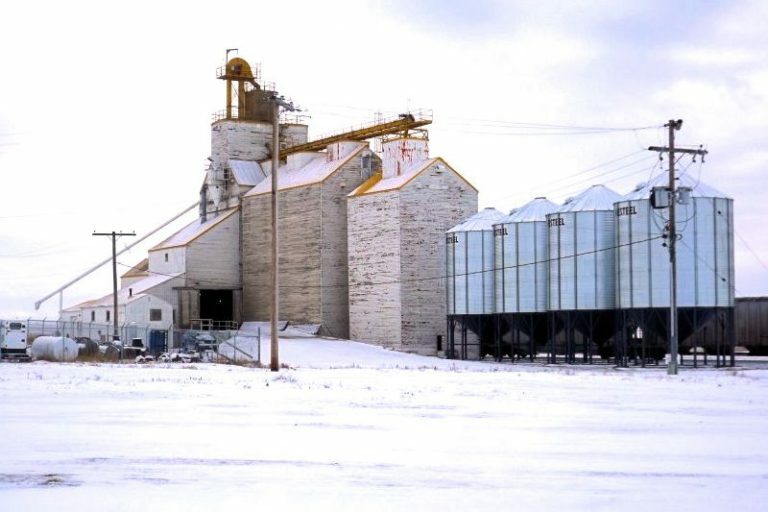 The demand is getting heavier… and there’s definitely more people in the game trying to market grain,” said Jason Braelt, grain buyer at RW Organics at Mossbank, Sask. New companies such as Pipeline Foods entered the organic sector, giving producers more options for selling their grain. Announcements for new processors have the organic sector feeling optimistic it will continue to grow into 2018. In September, film director James Cameron announced he would be investing in a pea processing plant, Verdient Foods, at Vanscoy, Sask. The plant is operational and moving to organic pea processing, which could lead to an increase in pea acres in 2018. “I would expect to see a lot of organic peas, a lot of yellow peas and there’s potential as that plant protein industry grows, a lot of it seems to be organic, so we’re going to see more and more players coming into that field,” said Laura Telford, organic specialist for Manitoba Agriculture. The upcoming year may be a challenge, though, if more snow and rain don’t fall. The 2017 season was plagued by dry conditions throughout most of Western Canada, although crops were able to use subsoil moisture from past wet years past to survive. That won’t be the case in 2018. “It’s no secret we’re in dire need of some serious moisture. From No. 1 Highway south and especially in Saskatchewan and Alberta (it’s dry),” Charles said. This year also saw organics making headlines across North America as reports of fraudulent organic crops were revealed. In May, the Washington Post released a story detailing how boats of conventionally grown corn and soybeans from Turkey and Ukraine “magically turned” to organic crops by the time they reached California. The Post’s investigation led to a spotlight on organic fraud, which has the U.S. Department of Agriculture considering ways to cut down on fraud in the industry. In Canada, the revelations haven’t had a huge effect on organic market prices. Scott Shiels, grain procurement merchant with Grain Millers Canada at Yorkton, Sask., said he has noticed an increased demand for Canadian organic crops. “Those issues surrounded some ships coming into the U.S. that were going to be destined mostly for the feed market, so it’s been really supportive for our feed market,” he said. Shiels has noticed increase interest from Europe, which traditionally hasn’t imported Canadian organic crops. Overall international market opportunities for Canadian organics increased this year, he said. In Ontario, St. Jean has noticed increased interest from buyers wanting to verify crops as organic. “There is definitely a little bit more of a push on country-of-origin of crops now and I get asked that question a lot more,” he said.